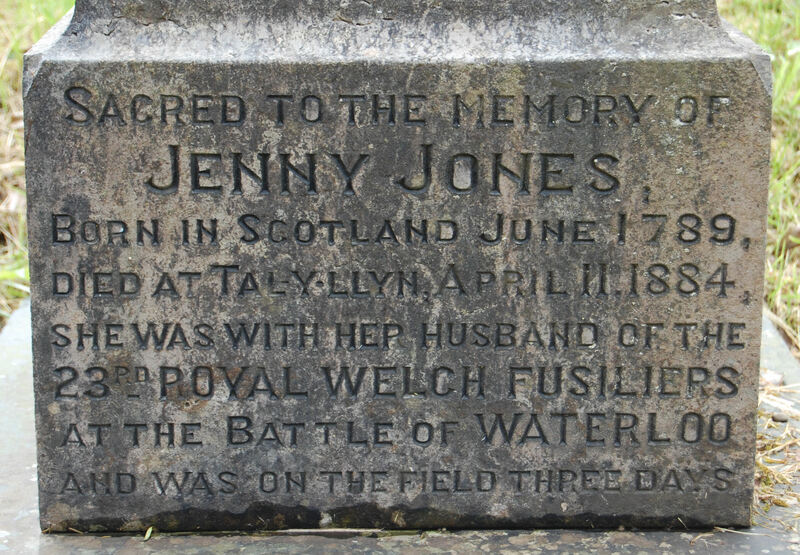 Jenny Jones born in Scotland June 1789, died at Tal Y Llyn Wales on 11 April 1884. She was with her husband of the 23rd Royal Welch Fusiliers at the battle of Waterloo and was in the field three days. The 23rd Foot was raised on 15 March 1688 as Colonel Lord Herbert's Regiment of Foot. In December 1688, the regiment was granted permission to bear in the centre of its Colours the device of the Prince of Wales, three Feathers issuing out of the Prince's coronet, and in the three corners of the second Colour, the badges of Edward the Black Prince, that is, the Rising Sun, the Red Dragon, and the three Feathers in the Coronet with the motto Ich diem. In 1702, the regiment was given the title The Welch Regiment of Fuziliers. It was one of the oldest regiments in the army, hence the archaic spelling of the word Welch. In 1713, the regiment was granted the prefix Royal for its actions in the War of the Spanish Succession (1701–1714). In 1714 it became The Prince of Wales's Own Royal Welch Fusiliers, and in 1727, The Royal Welch Fusiliers. In 1751, it was numbered 23rd (The Royal Welch Fusiliers) Regiment of Foot. On 1 July 1881, The 23rd (The Royal Welch Fusiliers) became The Royal Welch Fusiliers. On 1 March 2006, The Royal Welch Fusiliers amalgamated with The Royal Regiment of Wales (24th/41st Foot) to form The Royal Welsh. 18 Jan 1914 The 1st/Royal Welch Fusiliers left Portland Barracks on 10 January 1914. It embarked on the Rewa at Southampton, and arrived in Malta on 18 January. 24 May Margaret Cottrill born on 8 May, daughter of QMS Joseph and Clara Cottrill of Married Quarters Verdala Barracks. 4 June Olive Patricia born on 25 April, daughter of Sgt Robert Henry and Annie Sousy of St Nicholas Married Quarters. 26 July Doreen Mildred Edith Rowe born on 1 July, daughter of Bdms Charles and Francis Rowe of St Nicholas Married Quarters. 16 Aug Louise Tompson born on 4 August, daughter of L/Sgt Allen Arthur and Elizabeth Tompson of St Nicholas Married Quarters. 29 July Mobilisation Order were received at midnight. By 01:00 hrs 30 July all depôts were opened and stores and equipment were prepared for issue. All units in Malta drew their ammunition by midnight 30 July other than the Army Pay Corps. 17 Aug Ordnance Stores Malta manufactured 200 identity discs for 1st Royal Welch Fusiliers. 19 Aug Ordnance Stores Malta started packing mobilisation equipment for the regiment. 30 Aug The 1st/Royal Welch Fusiliers drew its mobilisation equipment from Ordnance Stores Malta. 3 Sep The 1st/Royal Welch Fusiliers embarked for England on H. T. Ultonia. 18 Apr 1854 The 2nd/23rd (Royal Welch Fusiliers) arrived at Malta on the Steamer Trent and was quartered at the Dockyard. 1 June 1854 General Order Valletta to Staff Surgeon 1st Class Daniel Armstrong from Major and Assistant Military Secretary E H F Pocklington: Assistant Surgeons Woods and Andrew Risk 23rd Regiment having arrived at Malta, will be attached to the 68th Regiment until further orders. In Nov 1854, the regiment had 10 officers and 725 men serving in the Crimea. 235 recruits joined the regiment during the month. Cholera made its appearance among them soon after their arrival in theatre; 10 died. The surgeon ascribed the prevalence of bowel complaints to the cold, exposure, constant night duty and lack of proper clothing and cooking. The regiment served in the Crimea (1854–1856). 7 Feb Pte Thomas Forder aged 19 years. 24 Feb Ensign Frederick Horsford 23rd (The Royal Welsh Fusiliers), aged 20 years died at Valletta. 14 Mar Pte Henry Harvey aged 22 years. 7 Apr Pte Thomas Hughes aged 30 years. 27 Apr Pte John Jones. 8 Aug Elizabeth Villiers Raynes aged 1 year 10 months, daughter of Capt Robert Taylor Raines 23rd Regiment. 15 Sept Pte William Deane aged 36 years. 25 Oct Pte Thomas Smith aged 25 years. 22 Jan 1856 Burial of Pte John Roberts 23rd Fusiliers. 7 Jan 1859 The 2nd/23rd was placed under orders to replace The 57th Foot in Malta, which left for India. 8 Feb The 2nd/23rd embarked at Portsmouth from Aldershot. It disembarked in Malta on 24 February 1859. Fever was common among the troops during the year. 1 Mar – 26 Sep Location: Fort Ricasoli. 1 Apr Strength: 37 Officers, 40 NCOs, 21 Buglers/Drummers, 815 rank and file, 913 total all ranks. (Total garrison strength 5650 rank and file). 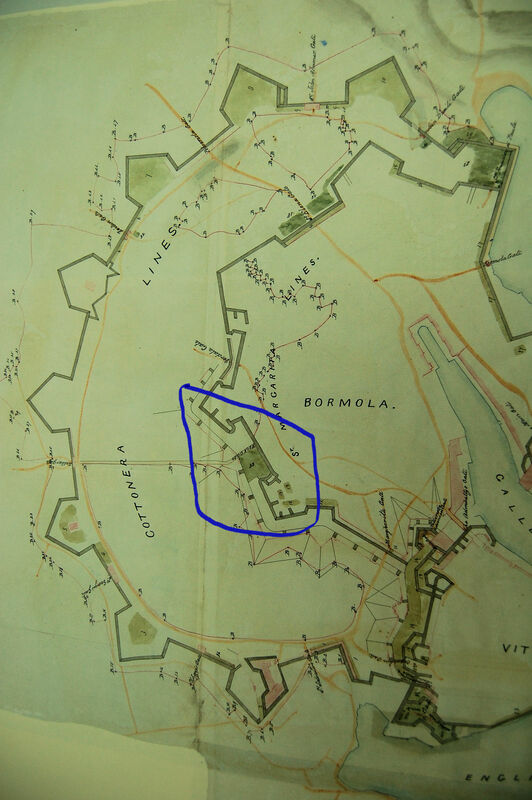 26 Sep The 2nd/23rd moved from Fort Ricasoli to relieve the 4th/Rifle Bde at Lower St Elmo Barracks. The latter took over the quarters at Fort Ricasoli, previously occupied by the 2nd/23rd Regiment. 27 Sep – 31 Dec 1859 Location: Lower St Elmo Barracks. In 1859, the regiment had 466.2 admissions from fever per 1000 of mean strength with 23.45 deaths from fever per 1000 of mean strength. 1 Dec 1859 Strength: 38 Officers, 45 NCOs, 19 Buglers/Drummers, 798 rank and file, 900 total all ranks. (Total garrison strength 7044 rank and file). 20 Mar Adeline Ellen McCully born 27 Feb 1859, daughter of Mary Ellen and Paymaster Sgt Richard McCully. 10 Apr Elizabeth Reynolds born 24 Mar 1859, daughter of Mary Ann and Cpl George Reynolds. 7 Aug Charles Browne born 4 July 1859, son of Anna Maria and Sgt Charles Browne. 21 Aug Henrietta Elizabeth Prevo born 23 November 1857, daughter of Elizabeth and Sgt Henry Prevo. 29 Sep John James Murray born 28 September 1859, son of Margaret and Sgt Matthew Murray. 7 Dec William Joseph Bickerton born 23 November 1859, son of Mary Ann and CSgt William Bickerton. 7 Dec Twin Margaret Goodwin born 26 November 1859, daughter of Jane and Cpl James Goodwin. 7 Dec Twin Elizabeth Goodwin born 26 November 1859, daughter of Jane and Cpl James Goodwin. 11 Dec Edward John O'Leary born 22 November 1859, son of Charlotte and CSgt Michael O'Leary. 14 Dec David Bennett born 9 December 1859, son of Caroline and Sgt David Bennett. 2 Mar Pte George Seal aged 20 years. 7 Mar Pte Thomas Williams aged 18 years. 12 June John Corrison aged 8 months, son of Drum Major Corrison. 24 June Pte Samuel Richards aged 30 years. 5 Aug Pte Isaac Cato aged 18 years. 5 Aug Pte Philip Williams aged 24 years. 8 Aug Sgt Maj William Walker aged 40 years. 17 Aug Pte Alfred Watts aged 20 years. 27 Aug Pte Jacob Huggins aged 24 years. 30 Aug James Halin aged 12 days, son of Pte Thomas Halin. 24 Sep Pte Joseph Smith aged 30 years. 4 Oct John James Murray aged 5 days, son of Sgt Matthew Murray in Floriana Cemetery. 11 Oct LCpl Thomas Gosling aged 19 years, in Floriana Cemetery. 18 Oct Pte Daniel Frazer aged 20 years, in Floriana Cemetery. 27 Oct Pte John Turner aged 21 years, in Floriana Cemetery. 8 Nov Pte John Mullen aged 19 years in Floriana Cemetery. 14 Nov Pte George Hamford aged 22 years in Floriana Cemetery. 17 Nov Pte William Clements aged 19 years in Floriana Cemetery. 25 Nov Pte George Breach aged 21 years, in Floriana Cemetery. 14 Dec Cpl James Hazelwood aged 20 years, in Floriana Cemetery. 19 Dec Pte Thomas Hunter 2nd/23rd Regiment aged 24 years in Floriana Cemetery. 20 Dec Pte George Stevenson aged 19 years in Floriana Cemetery. 24 Dec Pte Benjamin Harris aged 20 years in Floriana Cemetery. 26 Dec Pte Charles Carter aged 21 years in Floriana Cemetery. 1 Jan 1860 Strength: 38 Officers, 46 NCOs, 20 Buglers/Drummers, 792 rank and file, 896 total all ranks. The 2nd/23rd was quartered throughout the year in Lower St Elmo Barracks where in 1859 Continued Fevers had been more prevalent and fatal. In 1860, 137 soldiers were admitted with Continued Fevers with 3 deaths. In June, when admissions from Continued Fevers from the 3rd Regiment became very numerous, tents were pitched for 200 of the men to sleep in with a view to diminish the over crowding in barracks. As this approach appeared to prove satisfactory, it was adopted in July by the 1st/22nd Foot, the 23rd Foot and Rifle Brigade and the rooms on the ground floor of Lower St Elmo Barracks were vacated by the married men of the 23rd Regiment. On 20 Sept, detachments were sent by the various regiments to Pembroke Camp for rifle practice and the barracks were thus relieved for the remainder of the year by about 1200 men. 21 Feb Charles Brown aged 8 months, son of Sgt Charles Brown. 8 May Florence Bell aged 4 months, daughter of Lt Col Bell at Ta' Braxia Cemetery. 26 June Pte Joseph Warrick aged 20 years. 30 June Elizabeth Goodwin aged 7 months, daughter of Cpl James Goodwin. 25 July Pte John Phillips aged 22 years. 30 July Matthew Murray aged 6 days, son of Sgt Matthew Murray. 1 Aug Pte George Marks aged 20 years. 10 Aug William Joseph Bickerton aged 8 months, son of CSgt William Bickerton. 29 Aug L/Cpl Thomas Hulin aged 26 years. 3 Sept Pte John Dennis aged 23 years. 25 Nov L/Cpl Thomas Morgan aged 25 years. 16 Dec Bradley aged 3 days, son of Sgt Bradley. In 1861, the regiment had an average strength of 877 men, 505 hospital admissions (576 admissions per 1000 of mean strength) with 11 deaths in hospital and 3 death among the invalids (16.61 deaths per 1000 of mean strength). A private committed suicide by shooting himself in the chest with his rifle. The 2nd/23rd Regiment occupied Isola, San Francesco de Paola, Polverista Gate and St Elmo Gate Barracks. The 2nd/23rd was affected by Ophthalmia soon after moving into Polverista Gate Barracks. 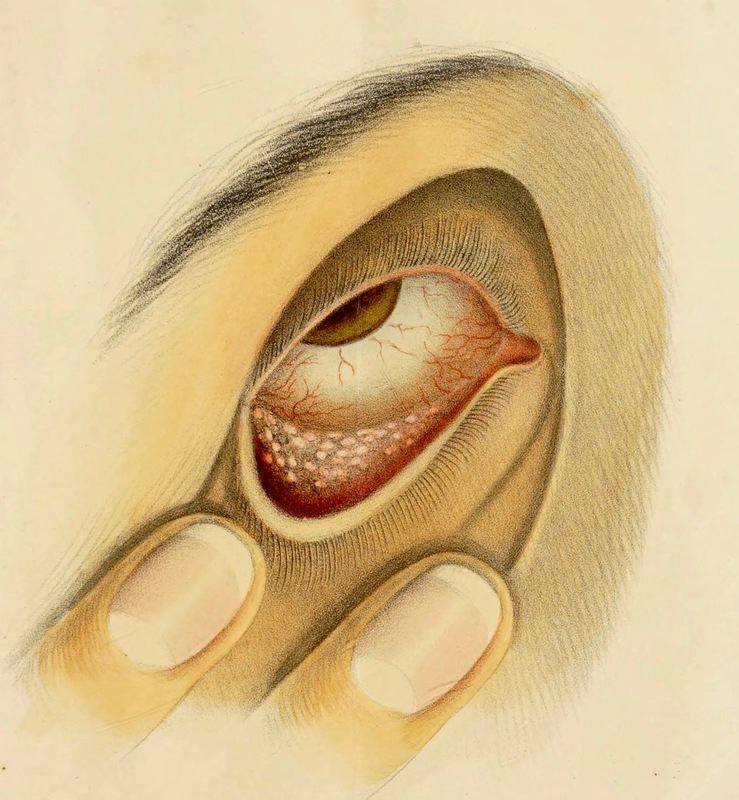 This eye infection was attributed by their surgeon to the quantity of fine dust that floated in the atmosphere in the neighbourhood of the barracks, especially on the road to Polverista Barracks where it lay in heaps on the ground. The dust was disturbed by wind or marching troops when dense clouds of dust were raised which made it almost impossible to see. Surgeon Benjamin Tydd recommended spraying the roads in the vicinity of the barracks with water from a water cart, which induced the disease to gradually subside. 19 Feb Pte Richard Richardson aged 29 years. 5 Mar Pte Henry Tyler aged 20 years. 7 May Pte James McAteer aged 20 years at Rock Gate Cemetery. 7 June Pte William Williams aged 21 years at Rock Gate Cemetery. 7 June Matthew Murray aged 1 day, son of Sgt Murray at Rock Gate Cemetery. 28 Aug Susannah Frotman aged 11 months, daughter of CSgt Charles Frotman at Rock Gate Cemetery. 17 Sep Alfred Coates aged 31 years at Rock Gate Cemetery. 15 Nov Pte John Dean aged 21 years at Rock Gate Cemetery. 16 Nov Pte Edward Gough aged 26 years. 18 Nov Richard John Corrison aged 3 months, son of Sgt Corrison at Rock Gate Cemetery. 22 Nov Pte Thomas Parry aged 30 years, at Rock Gate Cemetery. 29 Nov Pte Samuel Beech aged 23 years, at Rock Gate Cemetery. In 1862, the regiment had an average strength of 869 men, 629 hospital admissions (724 admissions per 1000 of mean strength) with 7 deaths in hospital, 3 deaths out of hospital and 2 among the invalids (13.81 deaths per 1000 of mean strength). A private of the 23rd Regiment was found dead in his bed after having drunk alcohol excessively the previous night. The 2nd/23rd occupied Lower St Elmo Barracks during the second half of the year. The 1st/22nd had the largest number of sick in hospitals although the mortality was highest in the 2nd/23rd Regiment. Ophthalmia prevailed during the month with 162 admissions. At the end of the year, all those men with sore eyes were sent to the Sanatorium at Citta Vecchia. 1 Feb Pte William Johnson aged 22 years. 2 Nov Pte Thomas Kinsey 2nd/23rd Royal Welch Fusiliers in Floriana Cemetery. 7 May Pte Daniel Marshall aged 22 years. Ophthalmia prevailed in the men of the 2nd/23rd who were removed to Pembroke Camp during the summer months. In 1863, the regiment had an average strength of 695 men, 463 hospital admissions (666.2 admissions per 1000 of mean strength) with 2 deaths in hospital and 1 out of hospital (4.32 deaths per 1000 of mean strength). 5 Oct 1863 Death of Ensign R. M. Biddulph 2nd/23rd. 24 Oct 1863 The 2nd/23rd embarked for Gibraltar where it arrived on 29 October 1863. It was replaced by the 2nd/8th (The King's) Regiment. 1 July 1881 The 2nd Battalion The 23rd Regiment became the 2nd Battalion The Royal Welsh Fusiliers. 8 July 1896 The 2nd/Royal Welch Fusiliers left Manchester and embarked at the Royal Albert Docks Woolwich. It disembarked in Malta on 16 July. It had an average strength of 380 men with 539 admissions (1418.4/1000 mean strength) into hospital and 1 death (2.63/1000 mean strength). 1 invalid returned to England. Its average constantly sick was 23.96 (63.05/1000 mean strength). The average sick time to each soldier was 23.08 days. The average duration of cases of sickness was 16.27 days. The 2nd/Royal Welch Fusiliers was quartered at Verdala Barracks Cottonera for 6 months. 14 Sep Florence Edith Turner aged 2 days, daughter of Pioneer Sgt Turner died at Cottonera. 11 Dec Marguerite Riding aged 6 months, daughter of CSgt Riding died at Cottonera. 21 Dec 1896 Pte Albert Edward Arthur Harris aged 18 years 7 months was buried in Pietà Military Cemetery. The 2nd/Royal Welch Fusiliers had an average strength of 954 men. It had 1076 admissions (1127.9/1000 mean strength) into hospital with 13 deaths (13.63/1000 mean strength). 21 invalids returned to England. Its average constantly sick was 58.44 (61.25/1000 mean strength). The average sick time to each soldier was 22.36 days. The average duration of cases of sickness was 19.82 days. 6 Apr 1897 The regiment embarked for Crete and landed at Candia on 9 and 10 April 1897. In August, the remainder of the regiment joined the Cretan International Force, but 263 men were still at Malta in December 1897. The 2nd/Royal Welch Fusiliers was quartered at Verdala Barracks Cottonera for 7 months with detachments in Crete for 4 months. It served in Crete for 5 months with the Cretan International Force. 6 Mar L/Cpl James Ross aged 21 years, died at Cottonera. 9 Mar Francis Stanley Lewis aged 3 months, died at Cottonera. 10 Mar Pte Henry Pemberton aged 25 years, died at Cottonera. 16 Mar Ethel Dingle aged 1 year 4 months, died at Cottonera. 22 June Elizabeth Lewis aged 18 months, died at Cottonera. 4 Dec 1897 Pte John Ernest Newnes, aged 24 years was buried at Pietà Military Cemetery. 3 Aug 1898 At the start of the year, a detachment of 222 men was at Malta while the main party was at Crete for 10 months. The 2nd/Royal Welsh Fusiliers left Crete for Alexandria where it arrived on 7 August 1898. It was relieved at Candia by the 1st/Highland Light Infantry. The 2nd/Royal Welsh Fusiliers served in Egypt for 5 weeks. 13 Sep The 2nd/Royal Welsh Fusiliers returned to Crete from Egypt on 13 September 1898. 114 Dec 1898 The battalion, 808 men strong, embarked for China on the transport Avoca. The battalion was the longest serving in Crete and suffered badly form malarial fevers. Its average constantly sick was 38.01 (49.75/1000 mean strength). The average sick time to each soldier was 18.16 days. The average duration of cases of sickness was 11.20 days. 2 Mar Bernard Noel Ridings born on 21 January 1898, son of CSgt Noel Park Ridings and Eva Georgina, resident at Mtarfa. 3 Apr Margaret Edith Lewis born on 13 March 1898, daughter of Sgt Robert John Lewis and Louisa Harriett, resident at Zabbar Gate. 24 Apr Richard Neville Kirby born on 29 March 1898, son of CSgt Richard Kirby and Julia, resident at Zabbar Gate. 9 Jan Infant Ernest Moreland, aged 4 months, son of Pte George Moreland. 26 Apr Pte Charles Gourlay, aged 19 years 3 months. 11 July L/Cpl John Jones, aged 27 years. 13 July L/Cpl George David Henry, aged 27 years. 1 Jan 1899 Detachment of 62 men left before 1 July 1899. 20 Jan Sgt Thomas Owen Jones, aged 24 years 6 months was buried at Pietà Military Cemetery. Record of the services of the Twenty-Third Regiment or Royal Welch Fusiliers United Service Journal 1832 Part III; pp414, 565.